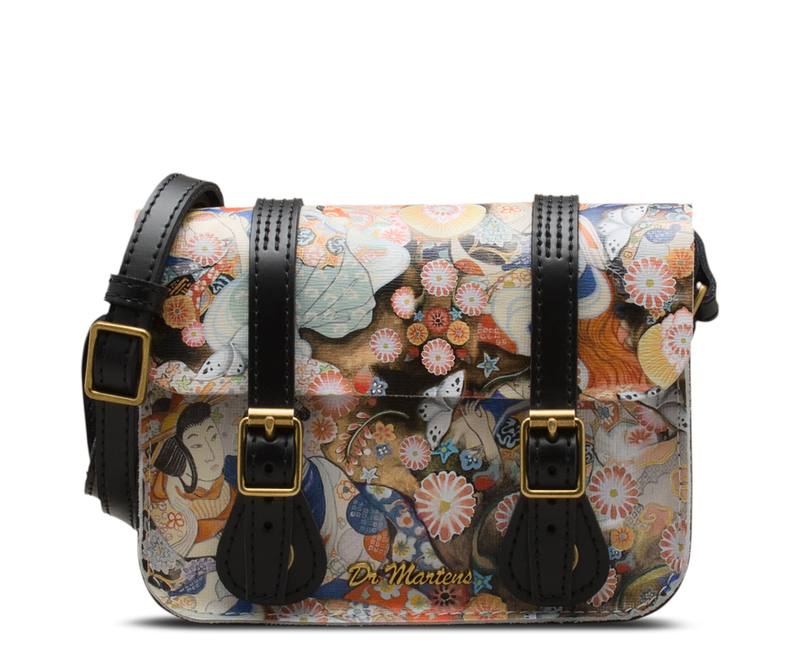 85,00 € - 50,00 € inkl. MwSt. 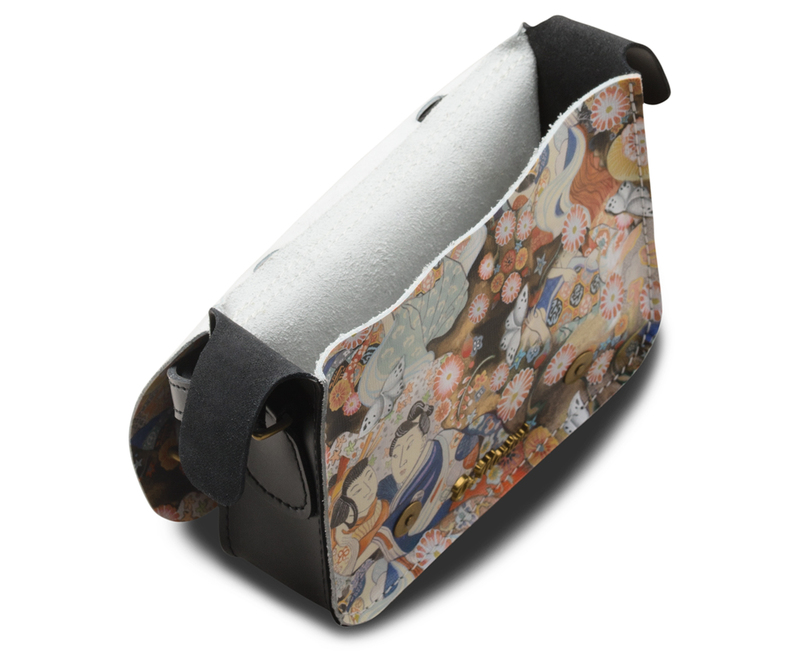 This 7-inch satchel pays homage to traditional Japanese art with a fresh, contemporary Dr. Martens spin. 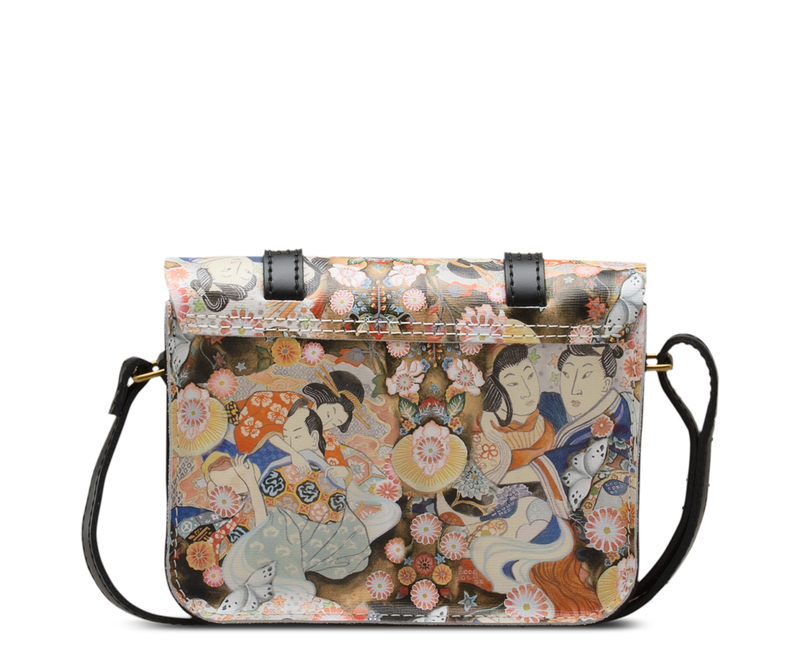 Featuring detailed hand-drawn paintings, the art is digitally printed on a textured leather chosen to emulate traditional Japanese parchment, while antique brass metal hardware completes the look.